This recipe, originally developed by a friend of Chris Prosperi’s from Mexico, includes a surprise ingredient. Two tablespoons of peanut butter amps up the sauce’s creaminess and adds a slightly sweet umami note guests will be hard-pressed to identify (though, for safety, never keep nut ingredients or any allergen a secret!). The sauce is nuanced, uniquely flavored, and wildly delicious. 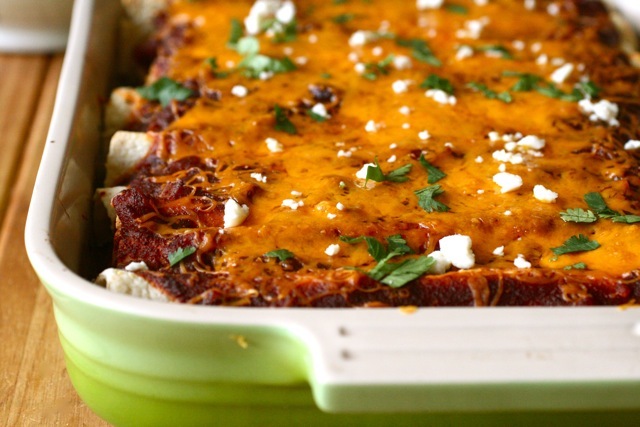 These enchiladas are exactly what party food should be. Soak chili in the 6 cups water for 5 minutes. When slightly softened pull tops off chili and remove seeds this can be done by filling the pepper with water and then pouring out the seed with the water. Place seeded chili in pot with strained water and boil on high heat for 15 minutes. The chilies are ready when you pick up with a fork and they fall back into the water. Strain and reserve cooking liquid. Place peppers in blender with 2 cups of the cooking liquid and puree. Add cumin, garlic powder, salt, and peanut butter and puree a little more. 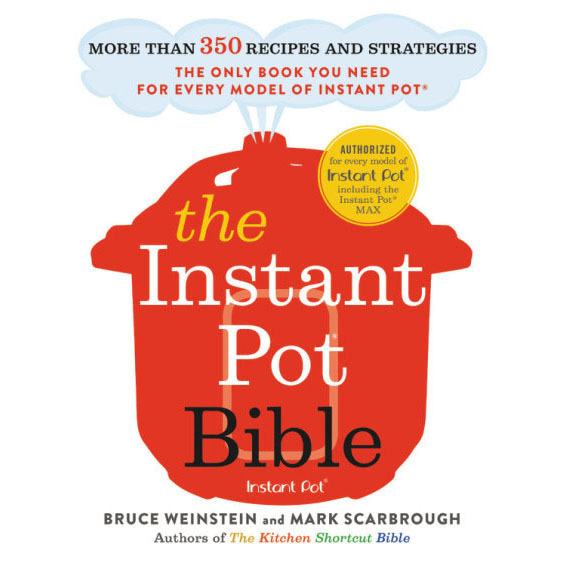 Return to pot and bring back to simmer and thicken with cornstarch and water slurry. Set aside. Lay out tortilla and place ¼ cup cheese in center, the desired amount of shredded chicken (divide the 2 cups into 10 equal parts, or make some enchiladas with and some without the chicken), and top with 4 slices of tomato and 1 slice of bacon. Roll bottom up then fold in ends and continue to roll. 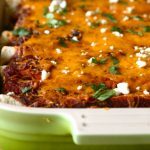 Arrange in a 9 x13 baking pan and pour a little sauce over the top of each enchilada making sure you coat the whole top. Pour in rest of sauce and top with remanding 1 cup cheese. Cover with foil and bake in 350 degree oven for 25 minutes. Please let people know that there is peanut butter in the enchilada sauce. Some people have a life-threatening allergy to peanuts and not expect it to be in the sauce. Thank you! Absolutely! When we say “secret” ingredient, we really mean unexpected or surprising. Never keep nut ingredients a secret! I went to a baby shower where all the dishes had Pinterest-inspired signs saying what they were and listing allergens. It was beautiful and practical. We’re totally in favor of that!